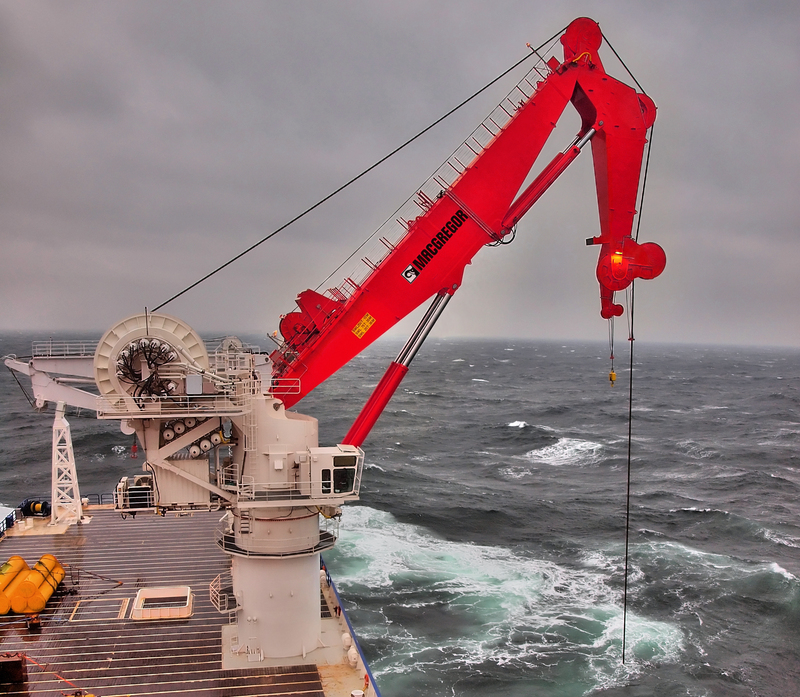 In April Cargotec secured an order to supply two active heave-compensated (AHC) cranes for Volstad Maritime's large offshore construction vessel (OCV) on order at Bergen Group Fosen shipyard in Norway (hull 89), which is scheduled for delivery in the second quarter of 2012. The contract comprises a 250-tonne MacGregor AHC subsea crane and a 15-tonne MacGregor AHC offshore crane. The advanced OCV is an ST-259-CD design from Skipsteknisk, and is 125m long and 25m wide. The vessel is designed to the highest environmental standards and Clean Design requirements. It will be classed to Ice-1A. "Cargotec's offshore competence centres are dedicated to designing complete solutions that define all functionalities of a purpose-built ship," said Jon Helle, Sales Director for Subsea Load Handling. "This enables us to respond to the market demand for total functional responsibility. Cargotec not only provides advanced technology, but is committed to delivering solutions that are available and working throughout the ship's lifetime". In line with developing and implementing new technologies that contribute added value to its customers' businesses, Cargotec invested in developing a full-scale training simulator to provide enhanced training programmes to its customers. In addition to training operators on advanced MacGregor offshore load handling systems with active heave-compensation, the simulator helps demonstrate the function of products and assess elements such as their anti-collision characteristics, plan operations, and also log data for playback to evaluate and improve future operations. "Cargotec's global service network enables us to support our customers' ships wherever they operate, ensuring continuous, reliable and sustainable equipment performance," Jon Helle added.